A serious injury to your child, it is strongly recommended that you contact a personal injury attorney to help you secure the rights of your child injured in a Hawaiian school. Every day countless children in schools are injured at the hands of someone’s negligent actions, primarily caused by inadequate child supervision, or even abuse. If your child is injured at school or during a school activity, you may be able to recover financial damages from the school district to cover your child’s medical bills and other costs associated with your child’s injury. Please take note that pursuing action against your child’s school can be complicated, so it’s important to know your legal rights when your kids are severely injured in a Hawaiian school. It is strongly recommended that you speak with an experienced catastrophic injury attorney in Hawaii to see if the school is liable for your child’s injuries. 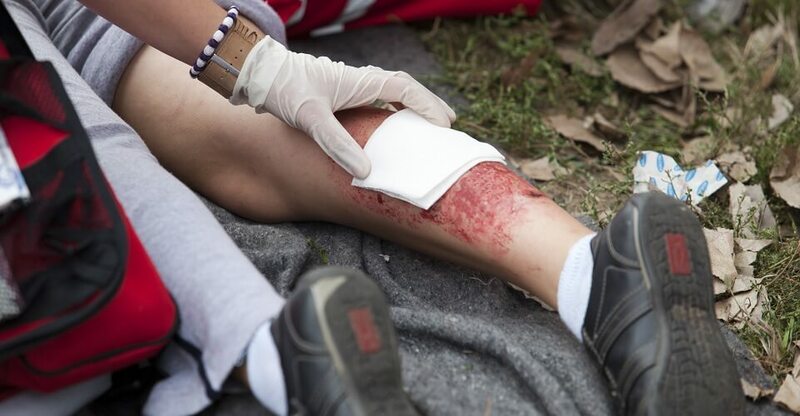 Before filing a lawsuit against a school your child should complete medical treatment for his or her injuries. You should also keep receipts of all medical bills including prescriptions as well as any medical reports to present to an attorney representing your claim. Your report should also include any pain and suffering beyond the medical bills. Also note that since your child is a minor, you the parent should be listed as the guardian filing a claim on behalf of your child. The state of Hawaii has established its set of rules regarding how a government entity such as a school can be used in the event of a serious injury of a child. Depending on how your child was injured, with the help of your attorney, you will be able to show whether an exception applies or not. However, under state law, a government entity may reserve immunity in such cases, which is why it is best to consult a catastrophic injury attorney in Hawaii immediately. Further, as with any personal injury case, you will have to prove negligence, by showing that the school’s duty of care to your child was breached. For example, was the injury caused by inadequate supervision by your child’s school employees? Or was the injury foreseeable, in other words, could the school have prevented the injury to your child? These are the types of questions you will have to have answered before going forward with a full-blown lawsuit against a huge entity such as a school or any at fault persons of interest. You should also know that prior to filing a lawsuit, you should present your claim to the school’s insurance carrier. If the school’s insurance agrees to pay on your claim, any settlement offered by the school in the event the school is liable should be examined closely by an experienced personal injury attorney to make sure that you do not waive any of your child’s rights. If you are dissatisfied with your child’s school insurance, you may pursue a lawsuit for negligence against the school, prior to the expiration of the statute of limitations or you may lose your rights to file a claim forever. At any costs in the event of a serious injury to your child, it is strongly recommended that you contact a personal injury attorney to help you secure the rights of your child injured in a Hawaiian school specifically a catastrophic injury attorney in Hawaii. What Happens When Malpractice Results In A Catastrophic Injury?